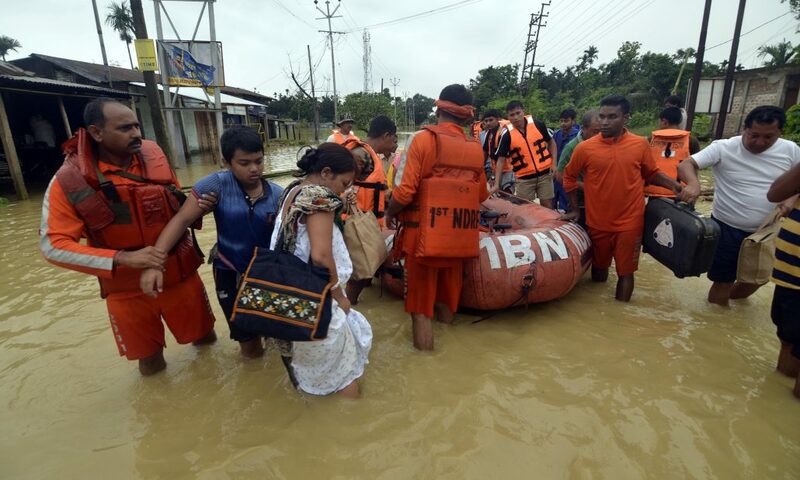 More than 20,000 people are stationed across several make-shift relief camps after the flash flood created havoc in Kailasahar under Unakoti district of Tripura. The River Deo and Monu are overflowing resulting in a critical condition of the Kailasahar town and the suburb areas. Army jawans also swung into action to rescue people and transport them to safer places in the flood-hit areas of Tripura. Almost all the houses at Kailasahar are submerged under water. Six people have died in the last 48 hours in torrential rain and landslides in the two north-eastern states of Tripura and Manipur. Four have died in Tripura while two people lost their lives in Manipur. Thousands of people are marooned in Assam as flash floods hit several districts in the northeastern part of the State. 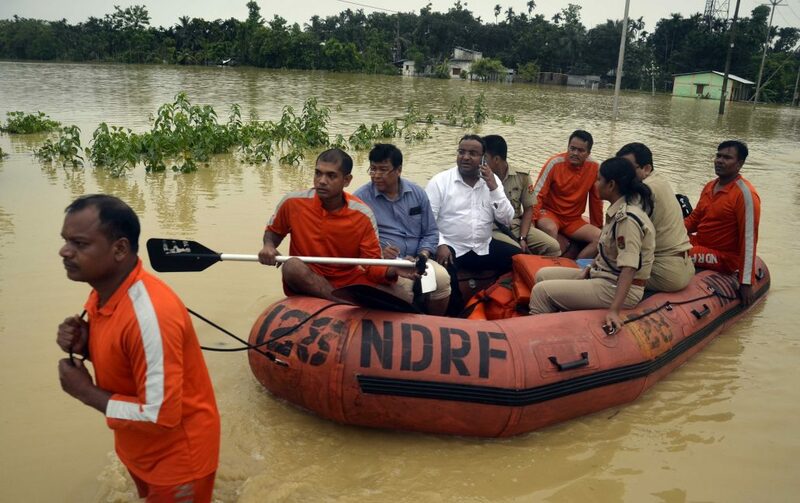 Meanwhile, NDRF, Red Cross, TSR jawans, Assam Riffles have swung into action to help the flood affected victims of Kailasahar, Pecharthal and other areas. Landslides have been reported at several locations along the national highway. Residential areas in Kailasahar are submerged as the Monu and Deo rivers have breached their banks due to incessant overnight rain. Among the 10 dams, three damns have already collapsed and one more is in a critical condition and might collapse at any moment. District magistrate Sandeep Rathore said that several organizations have involved in rescue and relief operations.